jungle lakes, and staying in scenic and comfy accomdations. Jason Yaegar wrote up his research in an essay called Revisiting the Xunantunich Palace: The 2003 Excavations. Were coordinating a concert by internationally known flutist Pablo Collado, and archaeologists in charge of the field school's current excavations to talk about their investigations. John and Jim will be giving presentations in the evening. 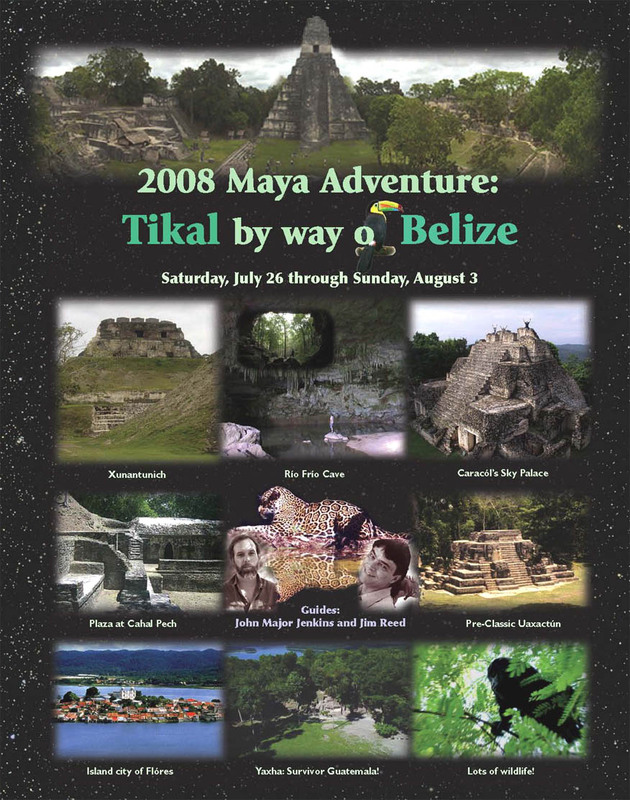 Jim's travel lectures and documentaries are often shown at Miami's Institute of Maya Studies, including one on May 14. John's research explores the cutting edge of Maya cosmology, science, and religion, with a special focus on the enigmatic calendar cycle end-date, December 21, 2012  the end of Baktun 13. Other sites in the vicinity of Cayo-San Ignacio, including some caves, will be on the schedule. 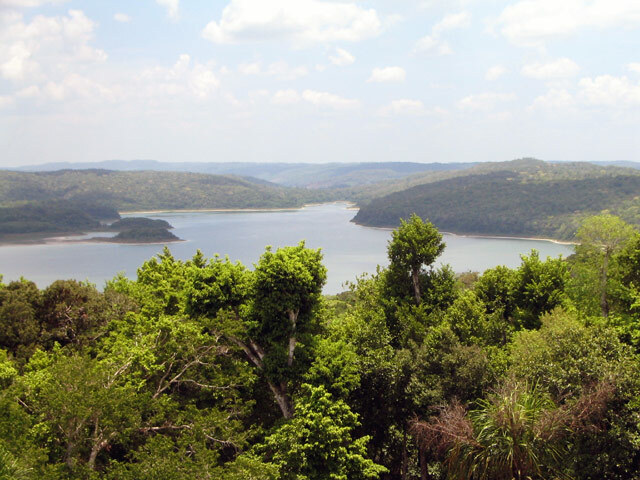 Along the road in the Peten frontier from Belize to Tikal, lies beautful Lake Yaxha  where Survivor Guatemala was shot. The little Mayan site of Topoxte is on an island in the lake. Tikal was home to Ahau Cacao  Lord Cacao (Lord Chocolate, 682-734 AD). He was the 26th successor to the throne after Yax Moch Xoc and he and others were responsible for building the two temples on the great plaza  the Temple of the Masks (Temple II) and the Temple of the Great Jaguar (Temple I), which became his his tomb. An account of the excavation of Lord Chocolate's tomb can be found in Sophie Coe's book The True History of Chocolate. and depending on weather and availability of watercraft, take a boat ride out on Lake Peten Itza. Your guides John Major Jenkins and Jim Reed welcome you to our traveling Maya show. Weve got a really nice itinerary planned for you. 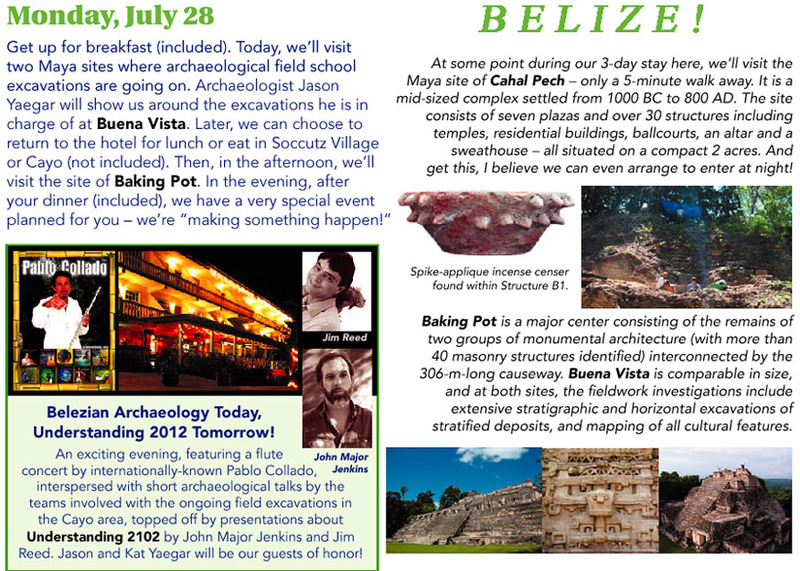 Well visit five Maya sites in Belize, and have the excavating archaeologists show us around at least three of them. And, well take a nice nature-tour boat ride on the Belize River. Over the eight nights, were staying at only three different hotels, but each is quite unique and interesting. Each has nice restaurants with Belizean and International cuisine, along with tropical bars and swimming pools. During this trip, were including lots of good food! We include all of the breakfasts, seven of the eight dinners, and three of the lunches. In Belize, well also see the Río Frío cave system and hopefully have a chance to swim in the Macal River around some neat river waterfalls. Included are the entrances fees into the Maya sites and museums well visit. Well also cover the costs for professional site guides. We have an air-conditioned vehicle! In Guatemala, well visit three Maya sites, the island city of Flores and hopefully take a boat ride on Lake Peten Itza. We also would like to visit the cave system of Actun Kan, if possible. Plus, we can enter the sites of Tikal and Cahal Pech for sunset and part of the evenings! We hope you are getting psyched up about this visit to the Mayalands! It will be a magical adventure! This is an economically priced adventure with authors and experts. The occupancy limit on this trip is 16 people. Cost: $1300. Meals are mostly included. 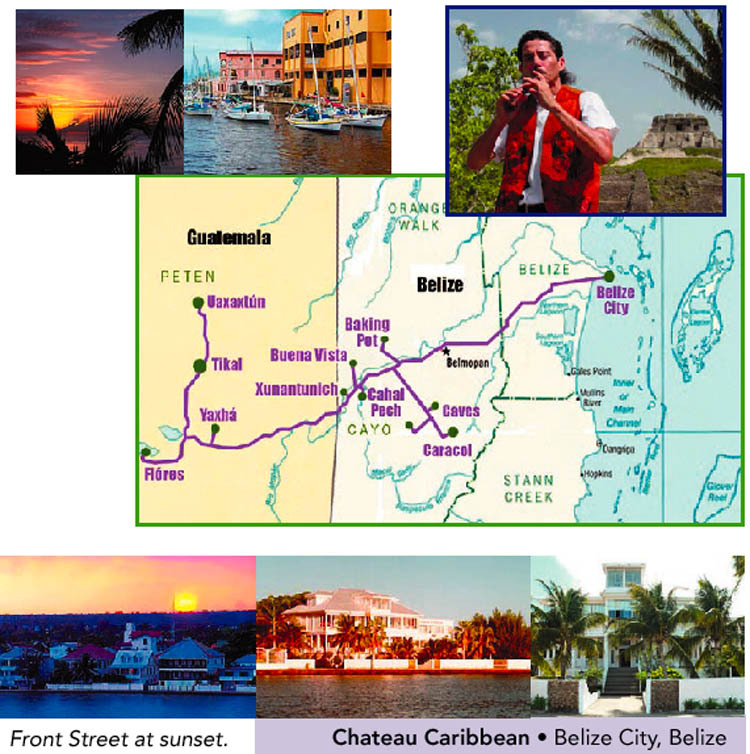 Single occupancy of rooms, if required, will be extra  please inquire.You are responsible for your roundtrip airfare to Belize City. It's best to arrange your flight as soon as you decide to go. Please send a $300 down payment by May 30 to ensure your space. Full balance is due by June 30. The adventure begins July 26!